Record Comments: This record is part of an educational series that demonstrates how elementary school staff can assemble and produce a successful school choir. 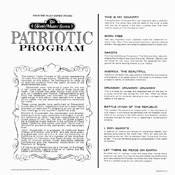 The songs on this album are an example of what content could be included in a Patriotic program. The Harbor Youth Chorale heard on this record provides a real-life example of how 65 students from Orange County, California public schools spent six weeks preparing for this recording. 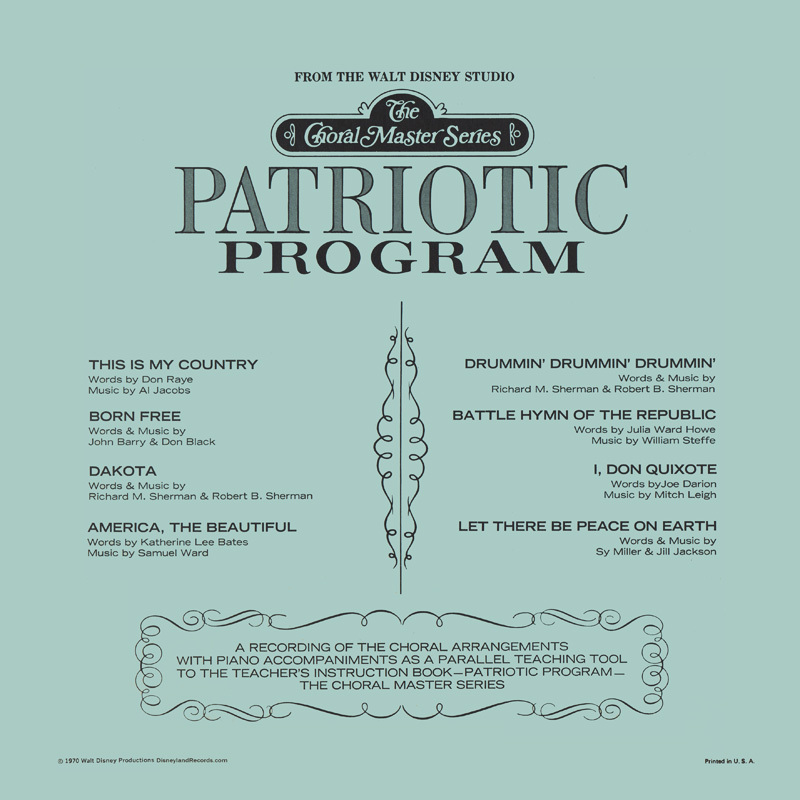 Songs "Dakota" and "Drummin' Drummin' Drummin'" were written by The Sherman Brothers for the 1969 Disney film "The One And Only, Genuine, Original Family Band." 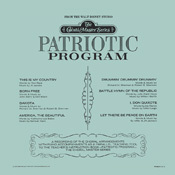 The remaining songs are non-Disney tracks. 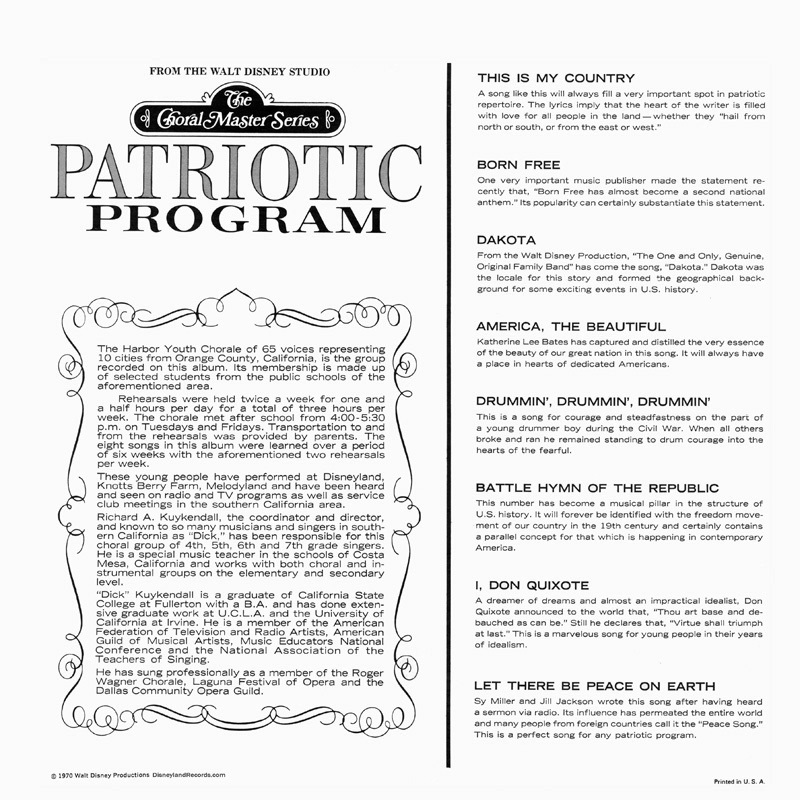 Music books with photos and text about the songs and programs were also made for each record in the series. 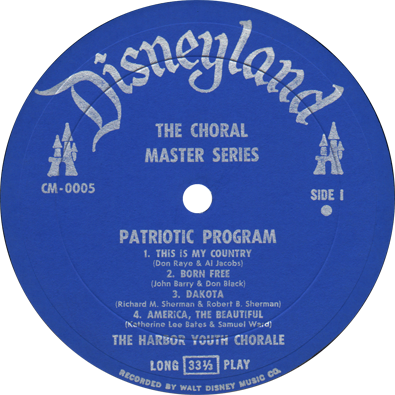 Subject Notes: Disney educational records include children's songs and content that promote learning for arithmetic, telling time, singing and other early educational items.